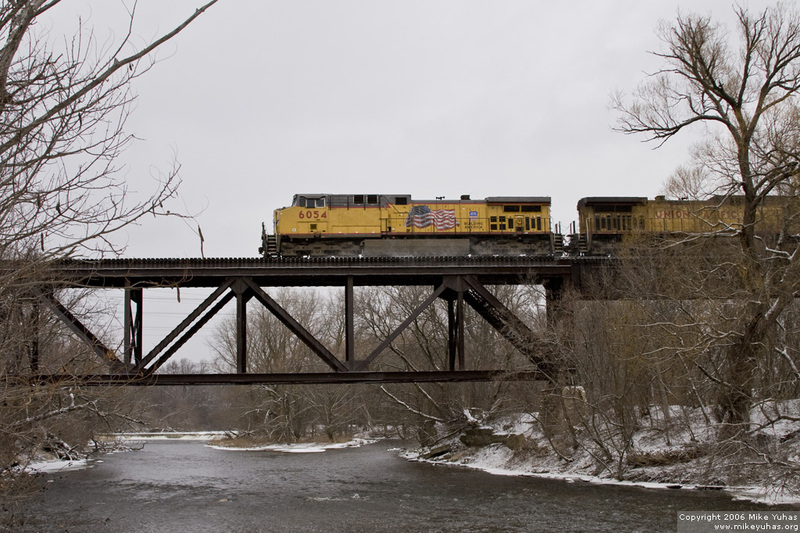 Crossing the Milwaukee River, our southbound empty UP coal is on the home stretch. A few moments ago the crew got the train's final track warrant to get into Butler Yard. They'll detrain and a fresh crew will take the train toward Proviso.